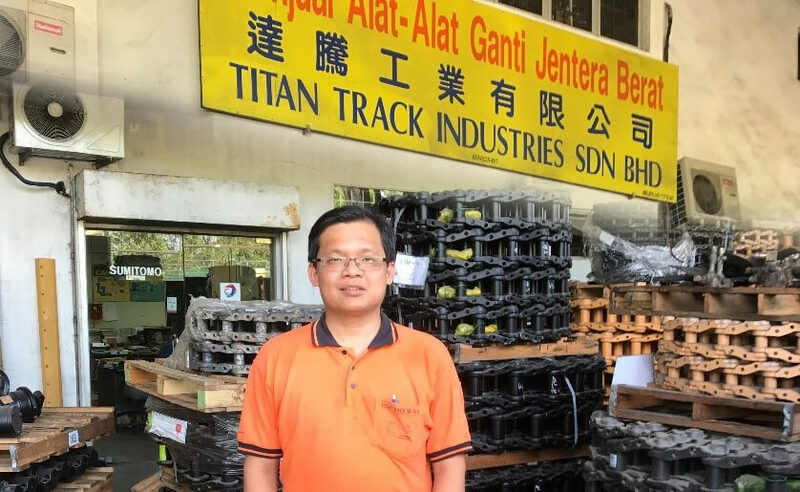 Mr. Liau Wei Liang, Director of Titan Track Industries Sdn. Bhd. Titan Track Industries Sdn. Bhd. (TTI) was established in 2005. Formerly known as L.S. Machinery Services, the company specializes in excavator, bulldozer and other construction equipment replacement parts trading. Over the years, we have grown to become one of the leading excavator replacement parts trading company in Malaysia with two outlets across Peninsular Malaysia and one outlet in East Malaysia. We enjoy a good reputation in this industry by dealing with genuine and OEM-quality replacement parts only. We deal with numerous companies across Malaysia, so risk management is extremely important when it comes to sustaining a viable business. Ever since I registered as a subscriber with CTOS, I have been able to conduct my business with confidence and peace of mind, despite the harsh and challenging business environment we operate in today. I use CTOS Credit ManagerTM to screen potential customers and help me eliminate avoidable business risks. CTOS has enabled me to understand and monitor the creditworthiness of my current customers. CTOS also alerts me immediately if any of my customers have become a potential business risk. Thanks to Credit Manager, my old debts that have been lying dormant for a long time have been settled with minimum hassle. To summarise, I believe that prevention is better than cure, and CTOS has helped me conduct my business along that principle with their useful products and services.